Find a back and spine specialist at NSMC. For patients who require spine surgery or who are seeking consultation with a back and spine specialist, North Shore Medical Center (NSMC) offers world-class care at convenient North Shore locations. As the region’s largest health care provider, NSMC offers patients exceptional back and spine specialists. 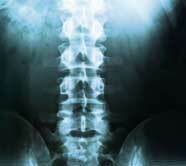 A back and spine specialist at NSMC provides a full spectrum of spine care. Our medical spine physicians diagnose and treat spinal problems using non-surgical techniques, while our surgical spine specialists have expertise in minimally invasive and complex spine surgery and back pain surgery. Patients normally consult first with a medical back and spine specialist to explore non-surgical options. Working with physical therapists, neurology physicians and pain management specialists, a medical back and spine specialist may recommend treatments that include physical therapy, aquatic therapy, spinal injections, medication, and exercise. Use Find a Doctor on our website to search for all types of specialists and procedures, including cardiothoracic surgeons, gastric sleeve surgery and tomosynthesis mammography.